Start your summer off with a BOOM thanks to Fireworks Week at MCU Park. We've got post-game fireworks shows, great giveaways, discounted tickets and non-stop fun! 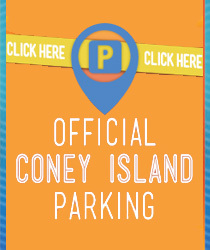 It’s Independence Day at Coney Island! The Brooklyn Cyclones face the Aberdeen Ironbirds, the affiliate of the Baltimore Orioles for a $10 Wednesday, meaning all tickets cost just $10. The first 2,000 fans in attendance will receive an American Flag Cap and Cyclones fans at MCU Park will be treated to a fireworks extravaganza. Plus, Teacher Appreciation Week continues at the park. The Cyclones and Ironbirds play the middle game of their three-game series at MCU Park. Brooklyn celebrates Teacher Appreciation Week. As part of the night's festivities, all Field Box tickets will be just $15 and anyone who buys a Field Box seat will be treated to a hot dog and soft drink - on us. Don’t miss the Cyclones-Yankees matchup at MCU Park on a Sunday Funday! The first 2,000 fans in attendance receive a Toy Truck presented by New York 811. Speaking of trucks, the Cyclones also present Touch-A-Truck on Italian Cultural Night and Bellies, Babies & Baseball! Following the ballgame, Kids Run the Bases!